Magpul has earned a reputation for quality AR-15/M16 magazines that you can trust to reliably feed. 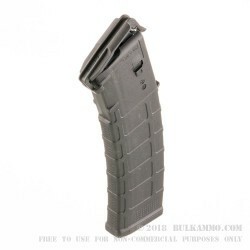 This Gen 3 PMAG holds 40 rounds of 223/5.56 ammo and features a 4-way anti-tilt follower to ensure every round is fed properly as your rifle cycles through the mag. 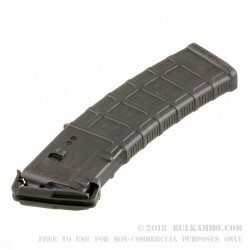 Additionally, the components within this magazine are top notch using stainless steel springs that are designed to last a long time. Finally, this mag has a great grip texture to ensure mag changes are done smoothly and safely. Q: Are these made of metal? A: Hello Charles, The Pmags are made of a polymer material by Magpul.